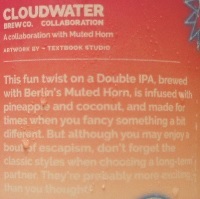 Brewer Description: (from can) This fun twist on a Double IPA, brewed with Berlin’s Muted Horn, is infused with pineapple and coconut, and made for times when you fancy something a bit different. But although you may enjoy a bout of escapism, don’t forget the classic styles when choosing a long-term partner. They’re probably more exciting than you thought! 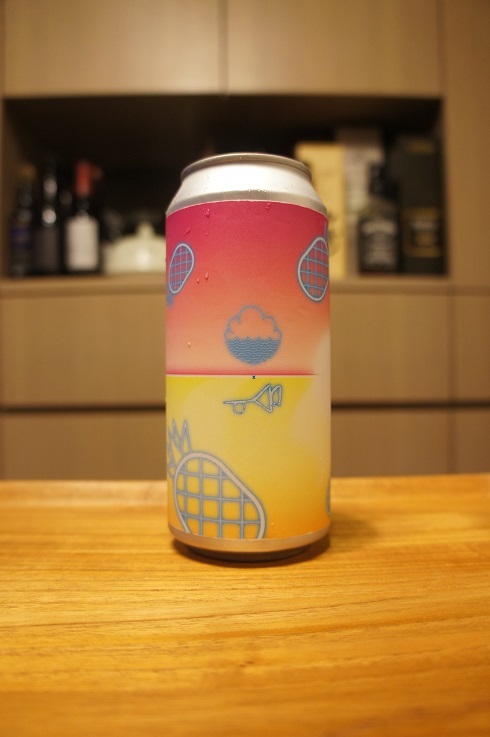 Intro: A 440ml can, canned on 8th October 2018. Poured into a Lost Abbey teku glass. 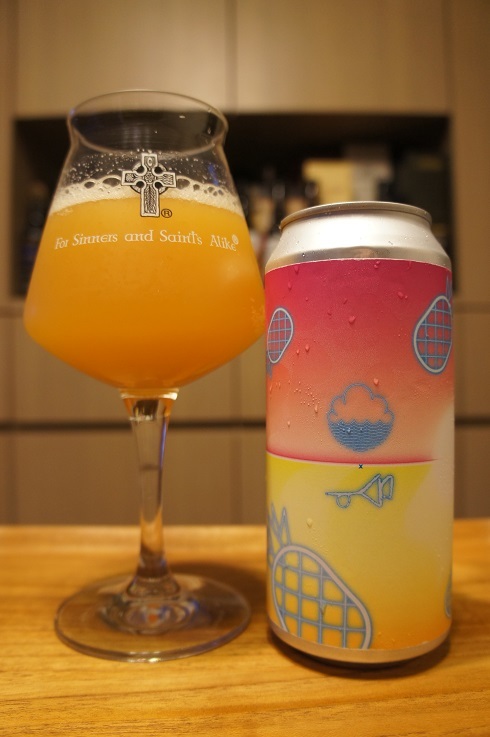 Appearance: A nice hazy mango orange colour with a just over one finger white head that dissipated very quickly to nothing and left pretty much no lacing. Aroma: Pina colada. Toasted coconut and pineapple. Taste: Juicy, moderate sweetness, toasted creamy coconut, pineapple, pina colada, with hints of mango. There is also some bitterness on the finish. Overall: I think it does everything the can says it does, with a really nice aroma, but it was perhaps a bit too sweet for me. It’s also a bit debatable as to whether it’s a DIPA as it just seems more like a Fruit Beer.